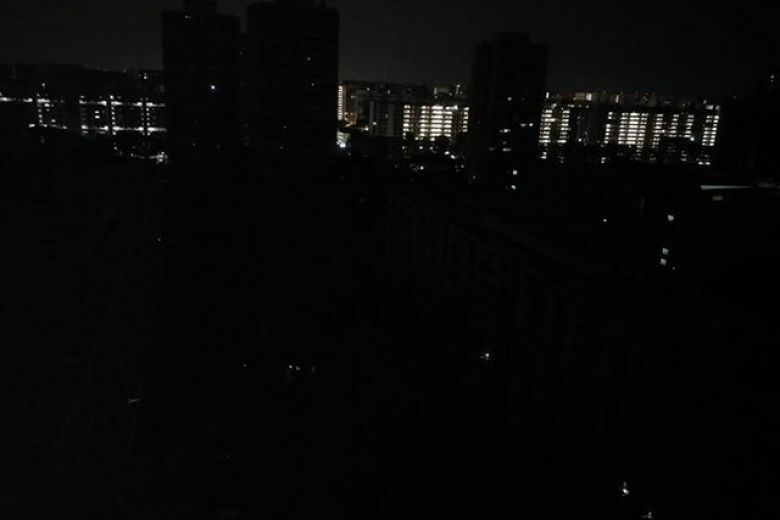 SINGAPORE - Large parts of Singapore from Bedok to Jurong were hit by a blackout early on Tuesday morning (Sept 18), affecting close to 150,000 residential and commercial customers. Affected residents said their homes were plunged into darkness, while some motorists navigated roads without streetlights. The Energy Market Authority (EMA) said it is investigating the blackout. Energy utilities provider SP Group said in a statement that electricity was disrupted in 19 areas in the country at 1.18am and the supply was restored within 38 minutes. The disruption was due to a partial loss of electricity supply from two power generation companies, SP said, based on its preliminary findings. It added that investigations are ongoing and that its electricity network is in order, following checks. SP said that 146,797 residential and commercial customers were affected in the following areas: Boon Lay, Choa Chu Kang, Clementi, Jurong, Pandan Loop, Aljunied, Geylang, Tanjong Rhu, Mountbatten, Kembangan, Bedok, East Coast, Ang Mo Kio, Bishan, Thomson, Mandai, Admiralty, Sembawang and Woodlands. When the electricity was cut off, Singaporeans started sharing their experiences on social media despite the late hour. 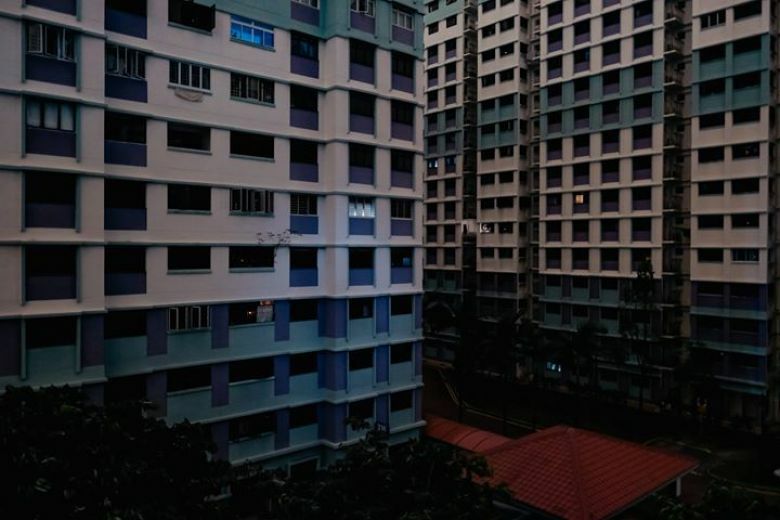 Mr Tan Boon Tong, 37, who works in healthcare, told The Straits Times that he was at his Housing Board flat in Ang Mo Kio Avenue 4 when the lights and fans suddenly went out. "My mother was in the living room watching television and it suddenly went off. So I went out to check, and the neighbourhood was in total darkness," he said. Another affected resident, Ms Jaxy Yeo, 27, who works in sales, said she initially thought that the electricity in her Westwood Road home in Jurong had tripped. "My entire house was dark. We thought that something might have tripped the power. But when I looked out, the entire estate was pitch black," she said. Ms Adeline Ng, who is in her 60s, said that she was almost stuck in the lift at her home in Central Grove condominium in Geylang. "I was taking the lift down to go to a nearby coffee shop... I thought it was just a lift problem and pressed the emergency button. Luckily, the door opened and I quickly got out, and had to walk down the stairs in darkness," she said. The power outage affected street lights as well. Photographer Aaron Rodrigues, 25, said the lights along the Pan-Island Expressway (PIE) and traffic lights were hit by the blackout. He was driving from Nanyang Technological University to his home in Yishun at around 1.40am. “The lights were already off when I entered the expressway, but there were traffic cones placed along the PIE entrance, so this helped cars that came onto the expressway filter in without any trouble," he said. “I drove very slowly with the high beam lights on. It was like driving along a Malaysian highway at night; you just have to go slow." “At the traffic light junctions, it was amazing how everyone stopped from different directions. I stopped a bit longer to appreciate it because I have never seen people being so considerate while driving." Marine Parade GRC MP Tan Chuan-Jin, who is Speaker of Parliament, posted on his Facebook page that the blackout seemed to be "quite a serious and extensive" one. He said that the hotlines were clogged up with calls, so affected Singaporeans might find it hard to get through. “Stay calm. The agencies are doing what they can,” he added. SP said in a Facebook post that its officers were deployed to the affected areas and it is investigating the incident. The Singapore Police Force and Singapore Civil Defence Force said on Facebook at around 2.45am that their emergency services were operating normally, and advised the public to contact them at 999 and 995 respectively only in emergencies. The EMA said in its statement: "The EMA takes a serious view of disruptions to Singapore's electricity supply. We will review the outcome of our investigation before deciding on the actions to take." It added that it would work with the industry to put in place measures to minimise the risk of similar incidents happening in the future. "We thank the public for their patience and understanding while efforts were made to restore electricity supply," the EMA added. 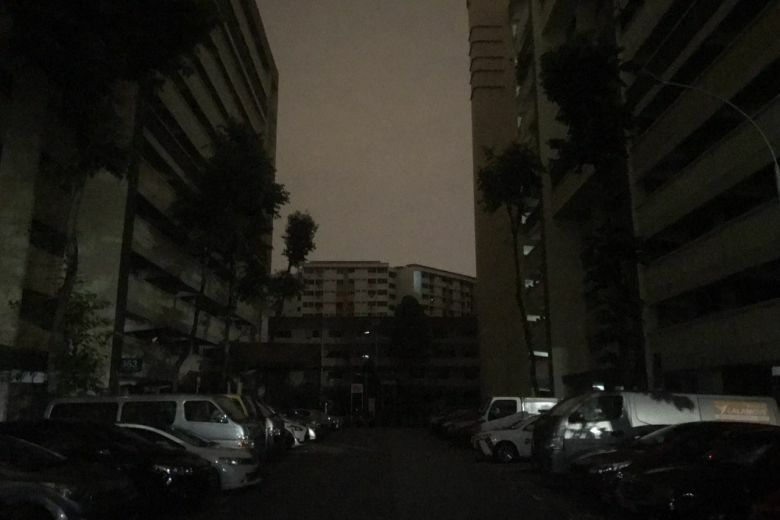 The last major blackout in Singapore was on June 1, where thousands of people in the Central Business District were left without power for half an hour in the afternoon. The outage hit the Raffles Place area and included parts of Chinatown. Banks, traffic lights, food centres and at least one shopping mall were affected, while offices were plunged into darkness. SP Group said on June 4 that the blackout was caused by maintenance work by the crew at a substation. In 2011, a contractor was fined $150,000 after it damaged a high-voltage electricity cable, leading to a 15-minute blackout in the Bishan and Ang Mo Kio area. Apart from affecting homes and businesses in the area, the power failure also stalled trains between Orchard and Marsiling, causing delays for more than 7,000 commuters.